Some architectural features of these plans in Hampton Glen include paver walkways, full size driveways, brick and stone veneers. The gated community offers an exceptional value with parks and upgraded home features . A builder incentive of granite countertops and a General Electric stainless steel appliance package is included with each furnished home. Everythings Included by Lennar includes entire home window coverings, new GE washer and dryer and 2 inch faux wood blinds. The North Las Vegas homes in Providence offers designs that include three to four bedrooms, 21/2 to 23/4 baths and two-car garages. The Sutton floor plans offers 1,660 square feet, three bedrooms, dining room, an open great room, a full service kitchen with counter seating, island bar and a pantry. Each bedroom on the second floor has a walk in closet. The 1,795 square foot plan is the Easton with four bedrooms, 2 ½ bathrooms and a den. The laundry room is located on the second floor along with all of the bedrooms. An l shaped island kitchen, living room and dining room round out the main floor. The Westport plan includes 1,823 square feet, four bedrooms and a split level design. The upper level offers a great room, kitchen, dining room, an extra bedroom, master bedroom and living area. The lower level has two bedrooms with a bathroom. The largest plan with 2,161 square feet is the Kingsbury with three bedrooms and 2 ¾ bathrooms. The first floor has a formal dining room and a dining nook. The second floor includes a large bonus room. 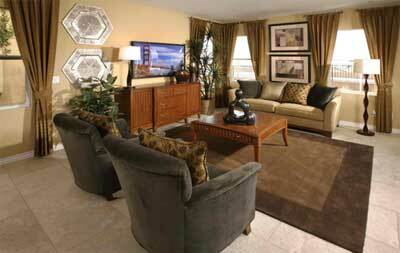 Hampton Glen in North Las Vegas real estate is an Energy Star certified community. Homes are built to save consumers money on their utilities and create a more comfortable and effecient living environment. Call 702-505-6988 for VIP Las Vegas Nevada Real Estate search by a Las Vegas real estate agent. Hampton Glen homes in Providence Las Vegas are priced from the $200,000s.